The match officials for the 2017 CONCACAF Gold Cup have been announced, with eight members of PRO selected. 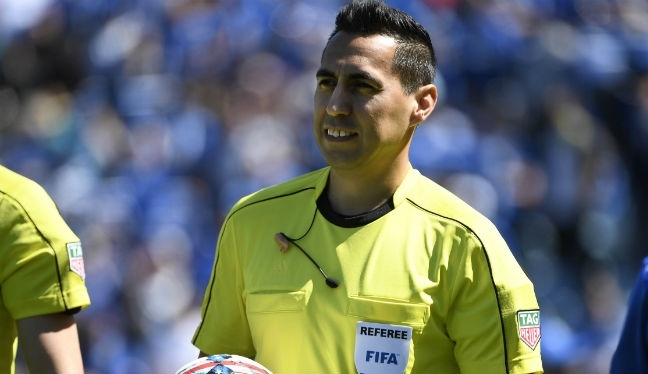 Drew Fischer, Mark Geiger, Jair Marrufo and Armando Villarreal are the four PRO referees chosen to officiate at the 12-nation tournament, which runs from July 7 to July 26 in 14 stadiums across the United States. Three assistant referees from PRO have also been called up, in Frank Anderson, CJ Morgante and the vastly experienced Corey Rockwell. Referee Ismail Elfath, meanwhile, has been selected as one of the 12 members of the Targeted Advanced Referee Program (TARP). TARP referees are part of the CONCACAF development strategy to provide an opportunity of working with elite officials in order to prepare them for future competitions. In all, 54 officials have been assigned (17 referees, 25 assistant referees and 12 members of TARP) and, for the first time ever, all match officials will be stationed at a referee headquarters in Dallas, Texas, and travel to assigned games. “CONCACAF has selected top-class referees to officiate at the Confederation’s premier championship,” Brian Hall, CONCACAF Director of Refereeing, said. “These officials have undergone strenuous preparation and vetting as our commitment is to ensure consistent high-quality performance on the field. Game assignments will be announced prior to each match.